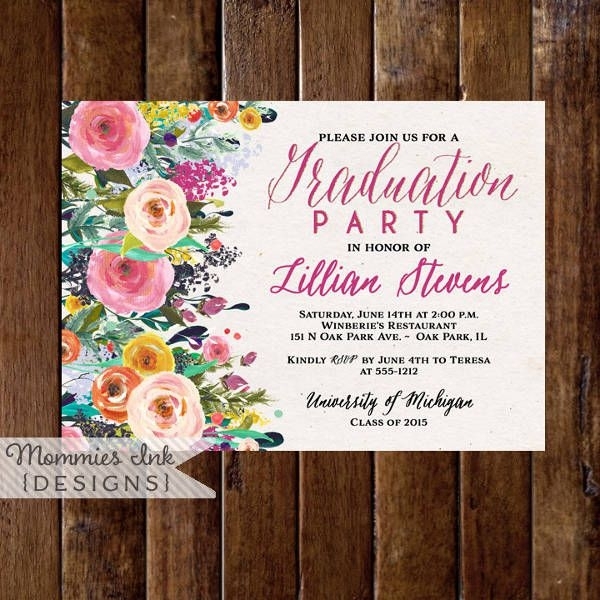 Graduation is but a couple more weeks away; and you’re basically winding down, simmering in anticipation for it. You’re reserving this time to take care of some last few requirements, deal with finals if you haven’t yet, before rehearsals and graduation day itself arrive. With such an important milestone coming your way, what do you have to do to make it even more memorable? One word: party. 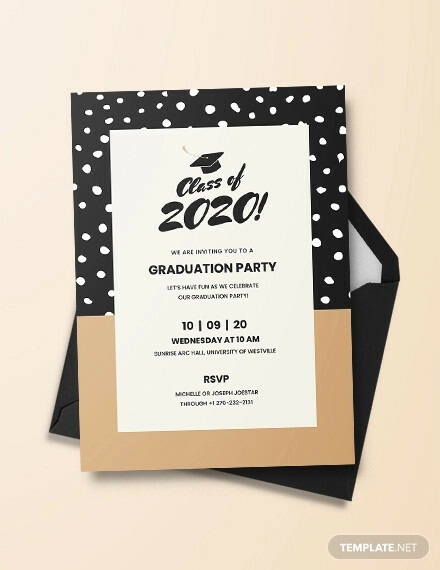 Because we know that despite things being (or going to be) on a more leisurely pace, you’re still swamped with choosing colleges or complying with other requirements. Planning a party can barely fit into that schedule. 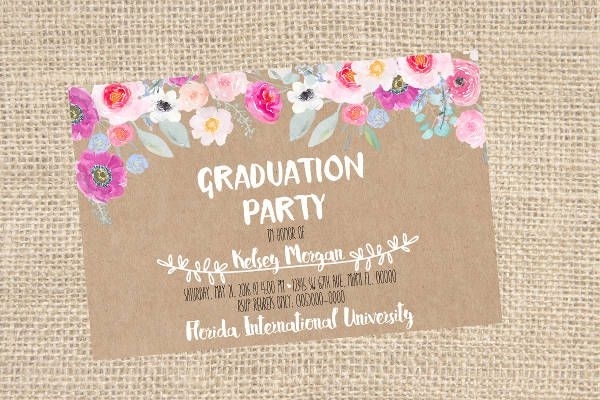 But perhaps with these Free Graduation Invitation Designs, you can take one thing off your plate. 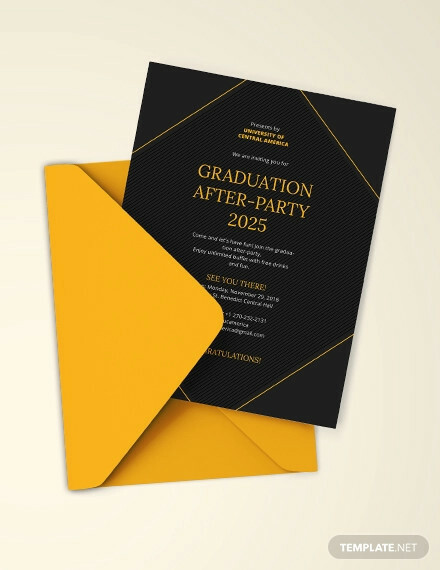 So What of Your Graduation? Graduation can mean so many things to so many people. For the general graduating populace, it means no more homework, no more classes, no more insistent teachers, no more exams, no more extra credit, no more bullying, no more having to fit into ridiculous social norms, no more after-school activities . . . no more of a lot of things. On a more positive note, it also means awaiting new challenges, seeking new horizons, learning more things about your field of study or area of expertise, and so much more. Also, it’s a time to reminisce. It is a time to look back on all the hard work you put in, the efforts that bore fruit, the outputs that made you proud, the frustrations over an undeserved below-average grade, the numerous sleepless nights. More importantly, it’s a time to thank the many people who’ve rejoiced and struggled with you, who’ve made you the person that you are today. 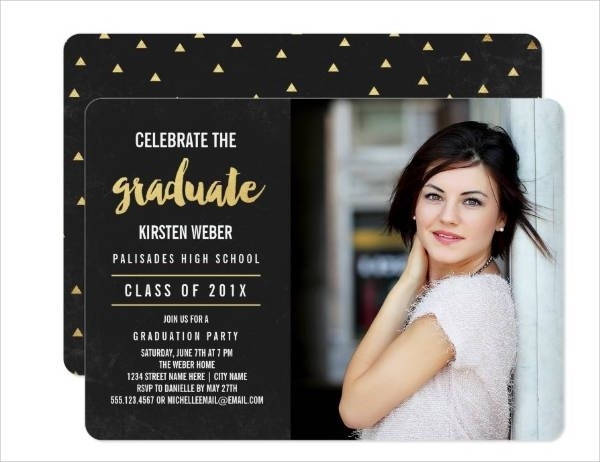 The one who’s weeks away from marching down hallowed halls and accepting a hard-earned diploma. 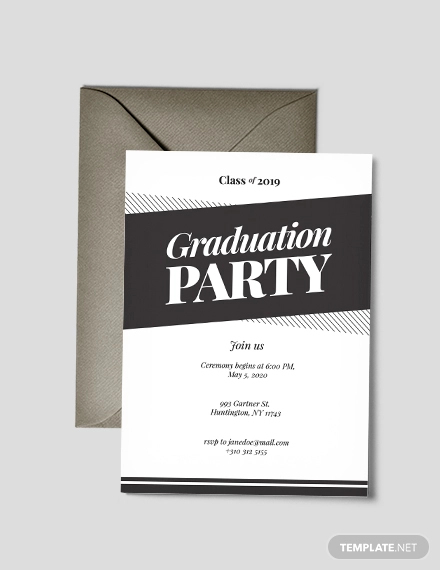 If those above aren’t reasons enough to check out these Graduation Party Invitations and throw a party, then I ought to relearn the meaning of life. 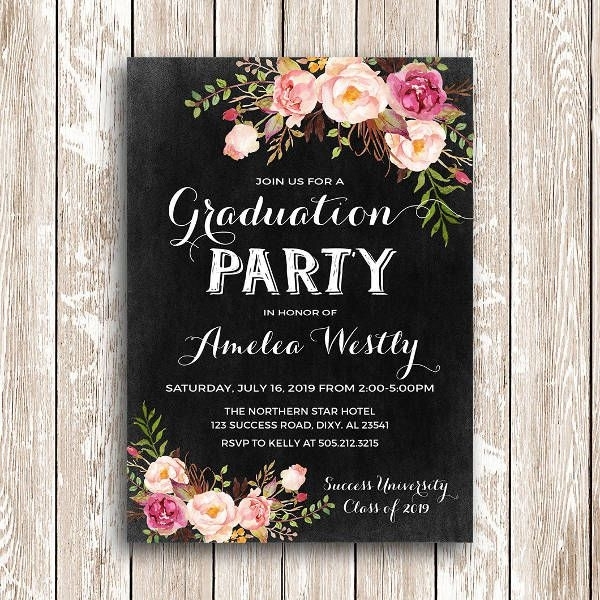 There are so many ways you can go about your graduation party invitations, and all these are great ideas and of great quality as well! 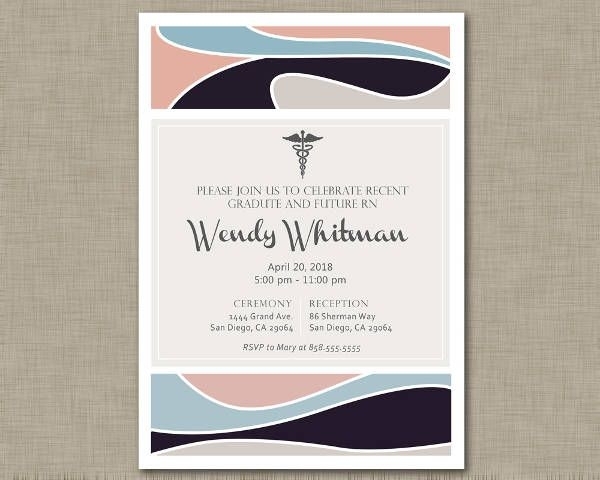 As you can see in our collection of Free Invitation Designs, we have an assortment of them you can choose from. 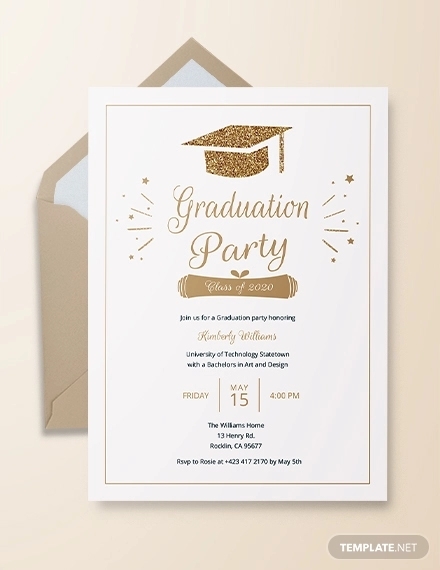 So you’ve read the little spiel of how important graduations are and how genius of an idea it is to throw a party to celebrate it. And you’ve seen the options, the designs you have to work with. All that’s left for you to do is to check out the links!